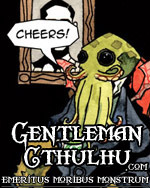 Become a Gentleman Cthulhu Supporter: And Have Your Name in Print for the World to See! EDIT: Deadline has been extended to July 31, 2017! The second collection of Gentleman Cthulhu comics (from gentlemancthulhu.com) is releasing late this summer and you can have your name included in the next volume! 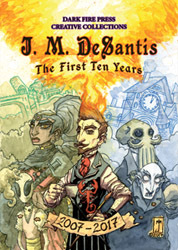 During the month of June, anyone who becomes a supporter of my Patreon page (at $3.00 or above) will have their name listed in Gentleman Cthulhu: Year Two (working title) and receive an exclusive, Patreon-only digital copy of the collection before it goes to print (print copies are available for $5.00 supporters and above). Just click the link below to become a supporter! 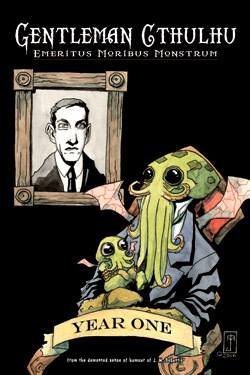 Just one week after Chadhiyana #5’s publication (Rosarium Publishing through comiXology and Amazon), I’m officially announcing the IndyPlanet release of Gentleman Cthulhu: Year One–a collection of the first year of comics from gentlemancthulhu.com. This is the very same book that sold out before the end of the weekend at this past New York Comic Con. As such, the book will likely be on my table for a long time, but if you can’t make it to a convention I’m exhibiting at or just miss me at one, you now have the option to buy the collection online at indyplanet.us/product/143372/!